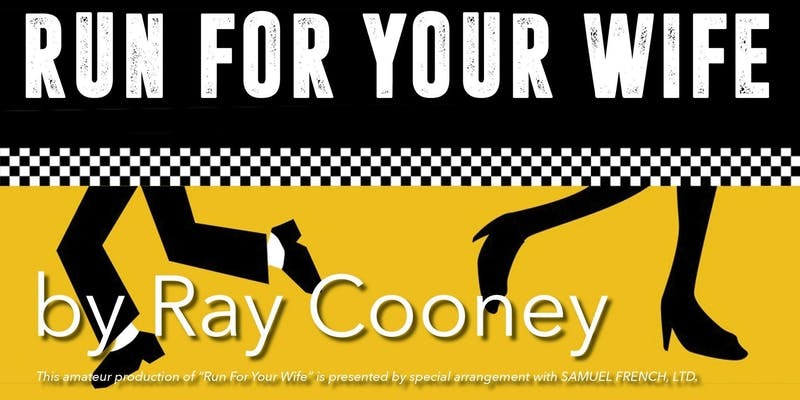 Performance dates, times, details and tickets can be found at www.northcantonplayhouse.com by clicking “Run for Your Wife tickets”. Tickets can be purchased online at www.northcantonplayhouse.com or by calling 330-494-1613 Monday, Wednesday, Friday from 9am-2pm. Follow London cab driver John Smith, with two wives, two lives and a very precise schedule for juggling them both, with one wife at home in Streatham and another at home in Wimbledon. Trouble brews when Smith is mugged and ends up in hospital, where both of his addresses surface, causing both the Streatham and Wimbledon police to investigate. Having upset his schedule, Smith becomes hopelessly entangled in his attempts to explain himself to his wives and two suspicious police officers, with help from his lazy layabout neighbour upstairs in Wimbledon.